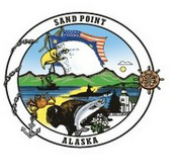 Welcome to the Sand Point Department of Public Safety! Chief Henning holds an Associates Degree in Criminal Justice along with an Advanced Certificate from the Alaska Police Standards Council. He has over 20 years of experience in Law Enforcement, during which time he served as a Patrol Officer, K9 Officer, Public Information Officer, Community Services Officer and Chief of Police. He has also served in the Major Crimes Unit, Domestic Abuse Task Force and the Drug Task Force. The Police Chief is appointed by the Mayor and subject to confirmation of the City Council. The Police Chief serves at the pleasure of the Mayor. Officer Brent Nierman has 18 years of Law Enforcement experience and has worked in Montana and Washington. Officer Nierman came to us from the Kittitas Police Department in Washington State where he served the last 9 years, the previous 7 as Chief of Police. My Name is David E. Anderson, but I go by Dave or David. I am 54 years of age. I have been married for 30 years to my wife Heidi. We live in Ellensburg, WA, which is the geographic center of the state. We have raised 4 children the youngest of which is 20 years of age and a Junior at Central Washington University. I am a former United States Marine and a former Washington State Trooper with 27 years tenure. I left the WSP in 2011 and began working as a small town police officer in the City of Kittitas which is about 7 miles from my home. I enjoy wood working, rodeo, fishing, working with people and learning new things. I am excited for the future and look forward to exploring and meeting new people. Officer Chandler is from Dallas, Texas, but currently resides in Colorado Springs, Colorado. He has over 20 years of experience in Law Enforcement. During his Law Enforcement career he has served as a Patrol Officer/Supervisor, K-9 Officer/Trainer and Criminal Investigator. Officer Chandler proudly served in and will soon be retired from the U.S. Air Force after 20 years of service. Officer Chandler is excited and looking forward to serving the citizens of Sand Point. Investigator Slease has worked in law enforcement for the past 4.5 years, most of which were spent working for the Kotzebue Police Department. He holds an Associates Degree and an Intermediate Police Certificate. Prior to becoming a police officer Investigator Slease spent five years in the US Army, where he served as an infantryman and deployed to Iraq twice. Inv. Slease is currently assigned to WAANT (Western Alaska Alcohol Narcotics Team) at the Ted Stevens International Airport in Anchorage where he's working to keep illicit drugs out of our community. You May File an Anonymous Report with Sand Point Police Below! Just enter "Anonymous" or "Refused" or "Blank" under First, Last, E-mail, and fill out the "Comment" box with as much information as possible. The more specific information you give (who, when, and so forth) the better chance of the police taking action. Thank you!